Start gathering those box tops! The first collection of box tops to be turned into the PTSA is coming up on October 25, 2018. The class who collects the most box tops wins a pizza party! Even better, your child's teacher keeps all the money they collect through the Box Tops for Education Program! The Mount Morris PTSA will have three different Box Top collections this year, October 25, 2018, February 22, 2019, and June 1, 2019. 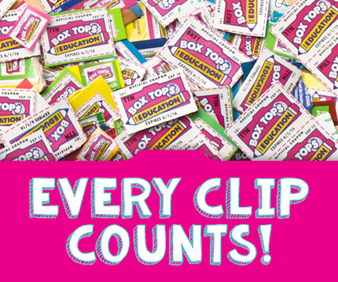 You can help teachers by making sure your clips aren't expired (deadline is November 1, 2018), sorting the Box Tops into bags of 50 or attaching them to the Box Top sheets sent home through children's folders.